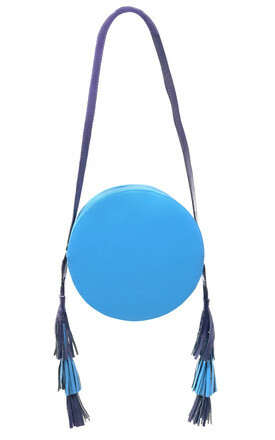 Blue and Purple leather handbag with tassel and heart detail straps; secured with a gold zip. Inside pocket with 3 card holder slots. 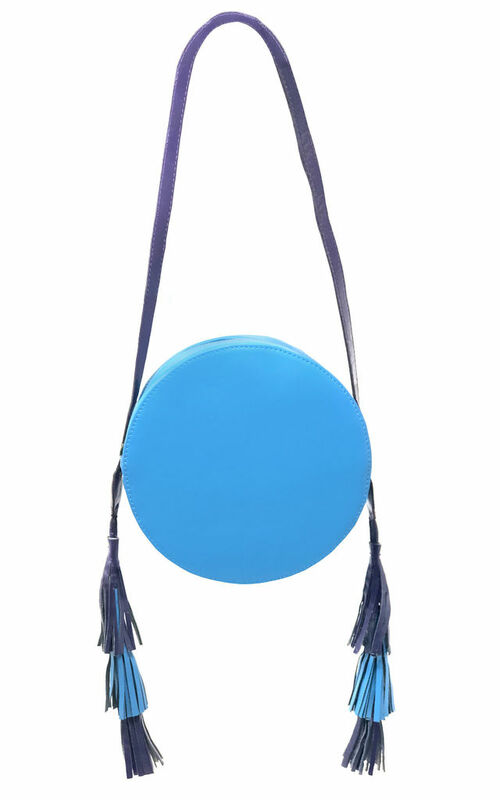 Stand out from the crowd with our contrasting coloured tassel handbags. Perfect for any occasion, this bag is a must have essential item to jazz up those dull and rainy winter days! Wear with a pair of jeans for casual and cool style, or leather trousers for that sassy Saturday night on the town!